Amazing texture and I like the range of black and white, subtle changes in grays create a wonderful richness of layers. The association with ‘bad sunburn’ makes me smile…. curious how it came to be. I love how image association evolves. How the creative mind, like a huge computer, can take in an image and bring up one or more random images in response. My mind went to peeling skin when I looked at the image…I’m not really sure why. Thanks, Cee. It’s a pretty cool tree…located in my neighbor’s yard. Thanks….It is a bit creepy….but pretty, too. Great poem and amazing picture. Great….glad to hear that, Paul. 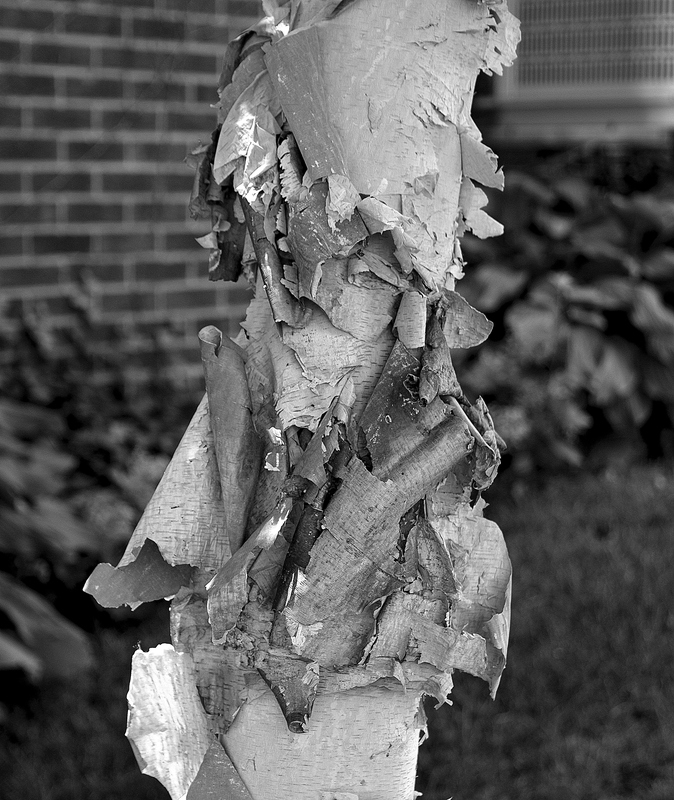 How amazing and photogenic this bark is. I should think it provides refuge for many little critters to shelter in. I’m sure it does, Carol.